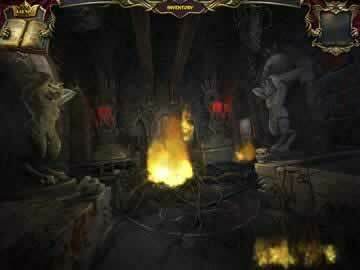 Echoes of the Past: Royal House of Stone Game - Download and Play Free Version! 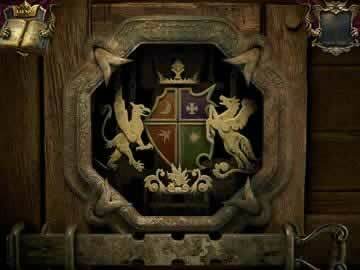 Can You Find the Objects and Solve the Puzzles to Save the Castle's Inhabitants from a Curse That Turned Them to Stone? Travel Back in Time to Put an End to a Terrible Curse! While touring an old castle, you stop to look at the oil paintings of the past inhabitants when suddenly, you're pulled back in time to when the inhabitants were alive! As you wander the dark castle, you find the inhabitants frozen in stone! Can you figure out how this happened and break the curse? Search for hidden objects to delve into the mystery. One item in each scene will require you to think outside the box, such as getting a heart with an arrow through it by finding an arrow, loading it into a bow and shooting it at a heart on the wall. Some hidden object scenes involve touching items to hear the sound they make then finding another item that makes that noise or grouping like items. Also enjoy entertaining puzzles like solving simple equations to deduce which weight should be used to activate gears, repairing paintings jigsaw puzzle-style and more. Rich With Mystery and Tons to Do! The good graphics and scenes with moving objects create a great atmosphere for this dark castle. The blend of hidden object scenes and puzzles is addicting and rewarding. You'll want to keep coming back for more mystery and puzzles because there's always something exciting to do in this game! 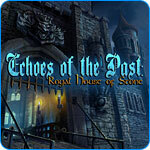 If you enjoy hidden object scenes blended with puzzles, then download Echoes of the Past: Royal House of Stone now!